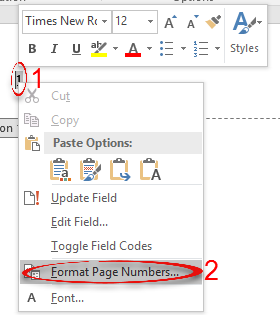 If a word document requires different numbering on each page, custom numbering can be adjusted following the steps below. Step 1:In the ribbon, select Layout. 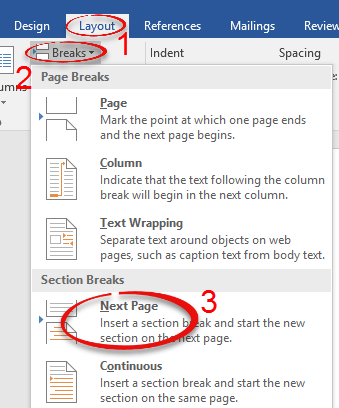 Click Breaks, then Next Page. Step 2:Click the Insert tab, then Header. Step 3:Under Header & Footer Tools, click the Design tab and deselect Link to Previous by clicking on it. 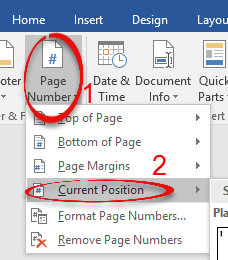 Step 4:Under Header & Footer, select Page Number, then select Current Position. Choose the style of Header/Footer that the page numbers should appear in. 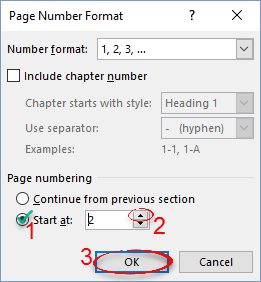 Step 8:Select Start at, insert the number that you wish to start the numbering at, and click OK. in this case, the numbering will start at page 2.